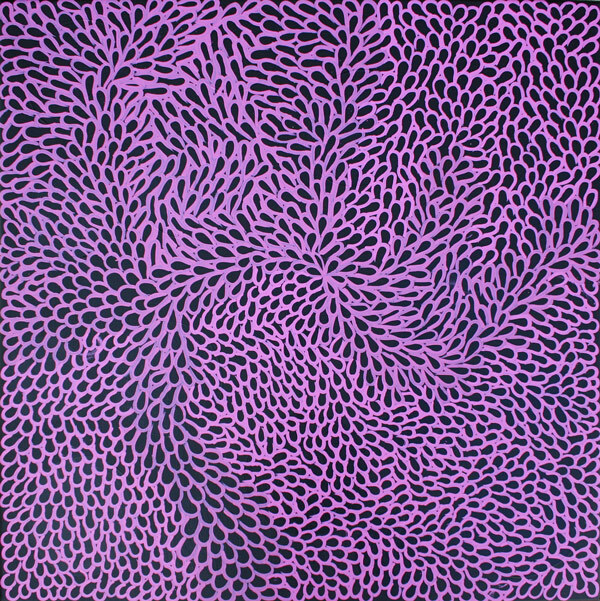 Carol describes her painting as Walka - Walka is any meaningful mark or pattern and may be an image on a cave wall, on rock or on sand and has cultural and ritual significance. Pitjantjatjara women and men from across the APY lands have become well known for this style of artwork. Walka is what is painted on the body during inma (ceremony), and often these designs are drawn into the sand in a storytelling game known as Milpatjunanyi. This painting resembles the small seeds that are collected for grinding into damper in the desert.